Gluing glass to glass is never easy. Glass is smooth, heavy and non-porous so slips really easily. Particularly when gravity is involved. These characteristics always make gluing glass a challenge. So when I heard about new Bostik Fix & Flash, the strong glue powered by light, trying it on a glass craft was the obvious place to start. What is Bostik Fix & Flash? Bostik Fix & Flash harnesses a technology used by dentists. It is a clear, odourless, solvent-free glue that is cured through the application of light. It works using a simple two-step process. Firstly you apply the glue to the surfaces you wish to adhere. The adhesive is re-positional, making it perfect for intricate work. 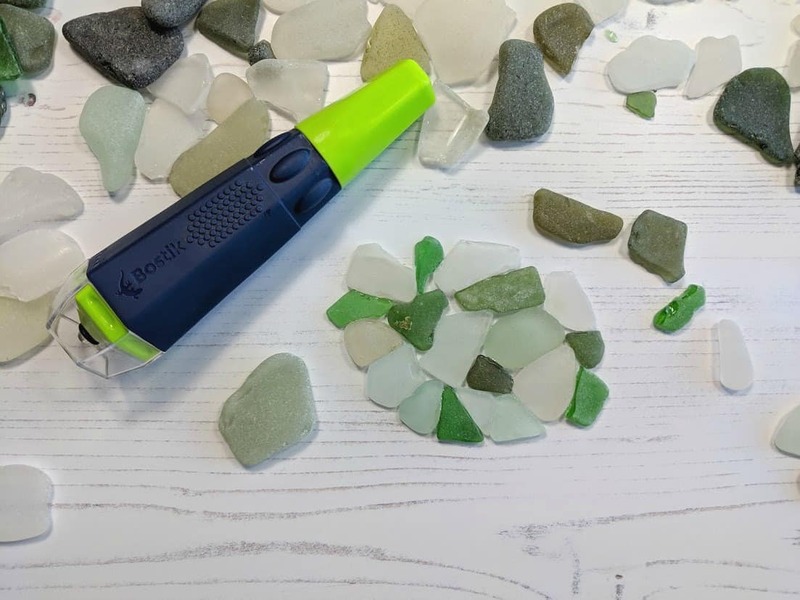 Once you have your objects placed precisely, wait 3 seconds for the initial tack, then press the little LED bulb on the applicator to turn it on. Shine the light around the edge of the glue for 15 seconds to set it, and the materials are bonded. Bostik Fix & Flash can be used on a vast range of materials others than glass. It results in a robust and long-lasting bond so can be used to stick or repair almost anything you can think of. 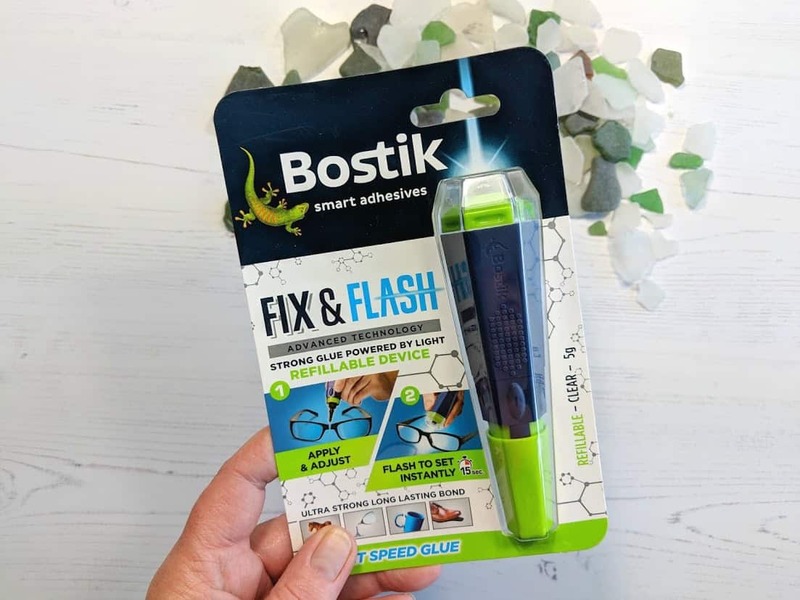 Bostik Fix & Flash really is simple to use. Both the glue and UV emitting LED are contained within the same easy to hold device. Suitable for ceramics, fabrics, metals, plastics and stone among other materials, you get best results sticking two surfaces that are both dry and clean. 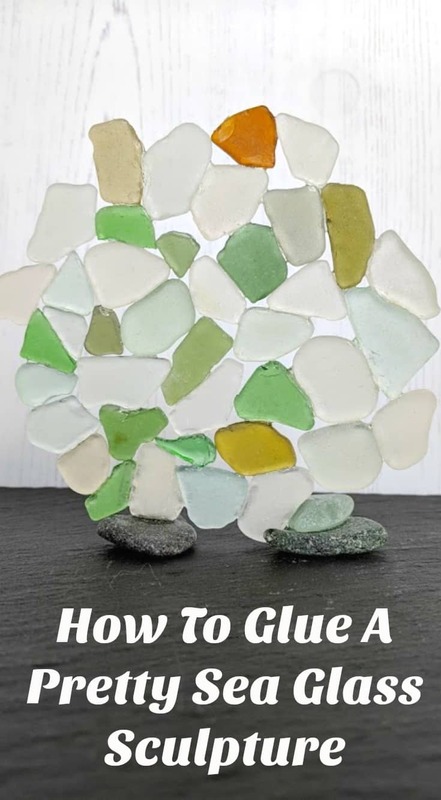 I have been trying to think of a way to display some lovely sea glass I have for some time. To showcase its beautiful translucent properties, I wanted the piece to be free-standing. The video below shows just how well this new light powered glue works on a project such as this. 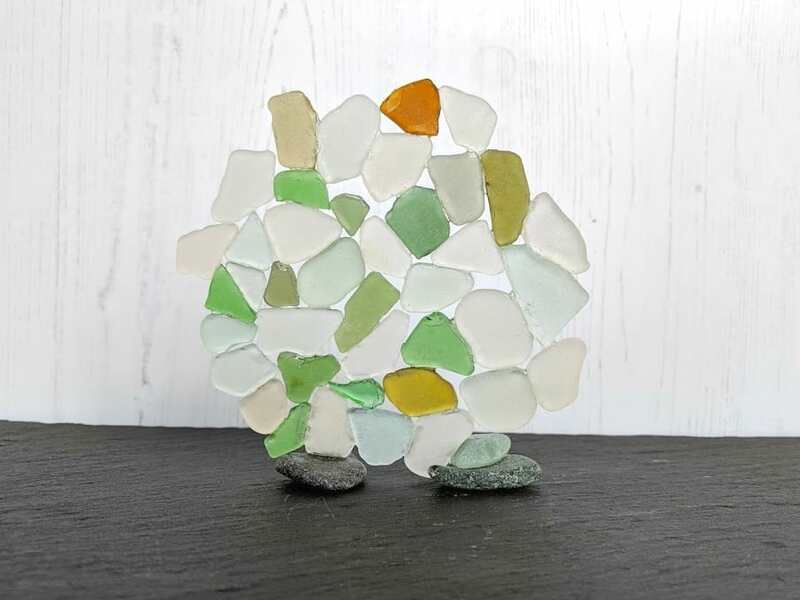 Using Bostik Fix & Flash for my sea glass sculpture allowed me to quickly build my structure in a way which just wouldn’t be possible with a conventional air drying glue. I really am impressed at how easy this new product is to use and look forward to trying it on other materials soon. 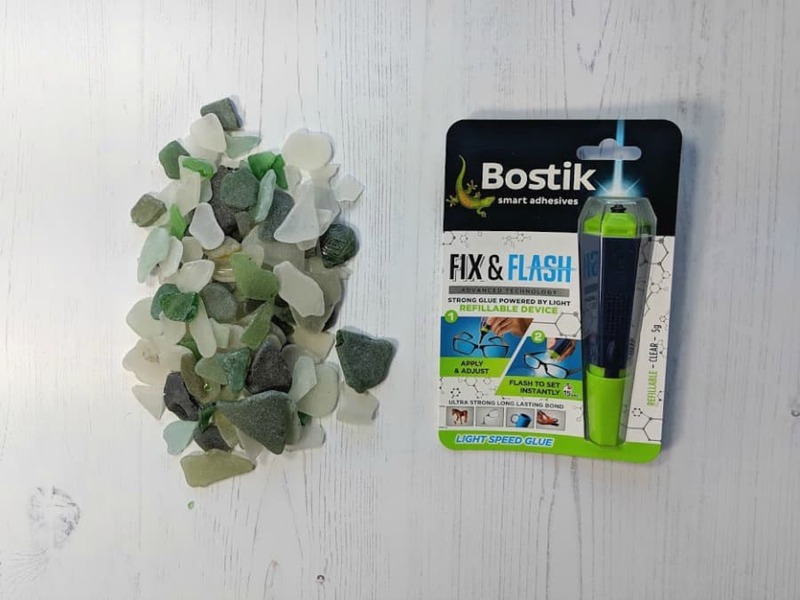 If you’d like to try Bostik Fix & Flash for yourself, you can find it at your local Hobbycraft store. And if you’d like to see how we’ve used some of the other Bostik products check out our Plantable Seed Paper and Heart Nature Collage posts.